Hi. I am available to teach Hindi to the kids of all ages.I will be teaching them to read, write and speak. There will be two levels for the course. Basics – includes the knowledge and writing of all the letters and matras. Reading, writing and speaking most used hindi words and sentences. Advance level consists of national anthem, devotional songs and dohas. I am open to conduct group classes as well as private sessions.Also,I can drive down to give personalized sessions. Contact funlearning197…@g…com for more information. Hi , I take Hindi classes at my home in Dublin . My Classes focus on the development of speaking, reading, writing and understanding the Hindi language in fun and creative way. My goal is to keep the children engaged and provide them variety of learning opportunities at their own pace. References provided on request. Enroll for 1 or both camps. Registration is now OPEN. Please visit www.JanoIndia.org Sibling Discounts, Multiple Camp Discounts! Immerse in speaking, understanding, reading & writing Hindi in the mornings . Activities include theater, hands on projects, slideshows and more. Each minute the kids will be enthralled to learn new things and explore about India, the culture, land, people, arts, cuisine and more! Designed especially for children growing up in America from all backgrounds. 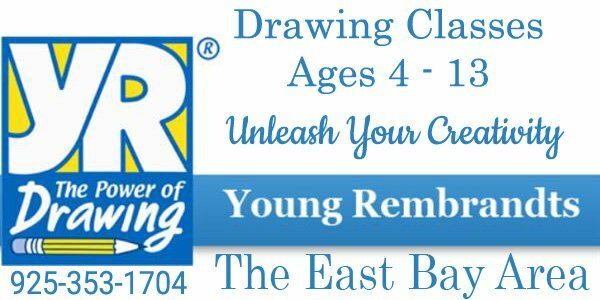 Guaranteed fun & learning at the best price. A truly unforgettable and memorable summer experience! I am a Hindi Teacher with an experience of 17 years in India. I love teaching Hindi both written and spoken to kids of all ages. My mother is a teacher M.A. (Hindi) B.Ed. degrees from eminent schools in India. She is living with us in Dublin and looking for tutoring opportunities for kids. She has been teaching kids for more than 30 years in India and wants to continue her passion for educating people here too. She is looking to teach Hindi to kids in age group (6-18). It is completely voluntary and free of cost. Please do not reply to this advertisement here as we have seen in the past that people will take advantage of your posting and use it for their services. Please contact us directly on this number if you are interested 480 570 4845. Hindi Classes from Oct 28th, 2017, by Asha Bhatia (M.A., B.Ed.) in Livermore. I have experience of teaching Hindi for 35 years, retired as a Vice Principal, and have authored a book (http://amzn.to/2fA6VhE). I would like to teach Hindi to children (6-10 years old), where I use an engaging and playful methodology. Using this method, children learn on their own by interest, where I encourage them to sing poems and dance, and introduce rich Indian culture. Also, I am happy to teach Hindi to adults if anyone is interested. Thank you. Please contact 415.767.6381. Jano Hindi Classes provide a creative, fun, interactive environment and focus on developing speaking, reading, writing, and understanding Hindi skills. Hello , I am Karuna Sharma . Starting Hindi Writing/ learning classes in Pleasanton CA. Have 12 years of experience as focused Hindi teacher . Taught Hindi at various level in different NON-Profit Organisation within USA For more details contact me at 913-601-0261 . Summer Camp in Pleasanton is hiring a Hindi teacher. Average 10-16 hours per week. Please contact us at 925-699-3203 if you are interested. Competitive salary. Interested in learning Hindi Basic and advance for Beginners age 5 and above in Pleasanton CA area?. The curriculum includes: reading, writing and conversational Hindi. For more details please contact me. Hello, I take Hindi Classes at my home for kids and teens. Timings are flexible. Class for each child is personalized with focus on verbal(speaking), reading and writing. My aim is to keep child engaged in learning Hindi in a fun and creative way. Hi , I take Hindi classes at my home . My Classes focus on the development of speaking, reading, writing and understanding the Hindi language in fun and creative way. My goal is to keep the children engaged and provide them variety of learning opportunities at their own pace. US Hindi Foundation Hindi classes starting soon in tri-valley, please register online now!!! Jano Hindi Classes provide a creative, fun, interactive environment that focuses on developing speaking, reading, writing, and understanding Hindi skills. Cupertino, San Jose, West San Jose, Fremont, San Ramon, Danville, Dublin, Livermore & more. Enroll Early: This will guarantee a spot as classes do fill up and registration will close! First Day Only: Parents are welcome to observe the Jano Hindi program! Receive a First Day Bonus to all attendees! First Day – Trial Class: Not-yet registered students are welcome to try out and register later! Space permitting, enrollment is open till December. All Classes are taught by trained and professional staff. US Hindi Foundation (USHF) is not affiliated with SRVUSD, Pleasanton USD or Dublin USD. USHF is an independent non-profit provider of services to the community, using the Unified School District as a site for operations. A 501 (c) (3) registered, non-profit organization. For the 7th year running, DAV Learning is going to organize the Hindi learning classes. Classes run on Sunday at 9.03 & 11.30 at Tutoring Club, 9110-F Alcosta Blvd, San Ramon, CA 94583. For the third year running, DAV Learning is going to organize the Hindi learning classes. The 2010-2011 academic year begins Sunday, August 29, 2010. General registration is on Sunday, August 22 at 1.00pm at 9110-F Alcosta Blvd (Tutoring Club), San Ramon, CA 94583.